Should You Pay off Old Debts in Collections? Many people in Florida have one or more accounts in collections. This happens when their creditor sells their debt to a collection agency, which specializes in getting people to pay up. Your debt will be reported on your credit history as in collection, which should hurt your credit score. You might also be receiving letters and phone calls from the collection agency. Should you pay this debt? Maybe you have the money and just want to make the collection agent stop calling you, or maybe you think paying off the debt will boost your credit score. 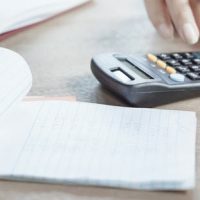 In this article, we will go through the different factors you should consider before you pull out your checkbook and paying off your debt. Under Florida law, a creditor has only a certain amount of time to sue you for an unpaid debt. This amount of time is listed in the statute of limitations. Generally, a creditor can sue on a written personal debt within 5 years of the date of default. If more than 5 years have passed, then the statute of limitations has run, blocking the creditor from suing you. Get out your paperwork for the original debt—not paperwork the collection agency is sending you. For example, you might have taken out a personal loan in 2012 and defaulted on payments in July 2013. More than five years have passed since the default, so the window of opportunity to sue you has closed. Let’s say you defaulted on a loan in July 2013 and it is now March 2019. The collection agency is hounding you to get you to pay. However, you realize that the statute of limitations has run, so you can’t be sued. But guess what happens if you start making payment on the debt. That’s right—the statute of limitations clock starts afresh. The debt “re-ages,” which means you can no longer claim that the statute of limitations prevents you from being sued. Even simply agreeing to pay the debt or making arrangements could start the clock again, so be very careful about what you say to collection agents. Having an account in collection will certainly hurt your score. But the impact should lessen over time. And by being responsible with credit, you can mitigate the damage. Also, collection accounts fall off your credit report after seven years, after which you will see your credit score rise. If the statute of limitations has run, then there is no reason to pay. Yes, you might have to wait a year or two for it to fall off your credit report, but is a slight bump in your credit score really worth paying all this money you owe? The analysis is slightly different if the debt is within the statute of limitations. In this case, you could be sued and have your wages garnished. However, many collection agencies don’t sue because they don’t have the necessary paperwork or because it is too expensive. You might want to meet with a credit counselor to discuss your options. Another option to deal with debts that have recently gone into collection is a bankruptcy, which can help you achieve a fresh start. For more information, contact Nowack & Olson at 888-813-4737 to schedule a free consultation.